We told you earlier to bid higher on exact matches because basically exact matches bring better results. However, don't take this for granted � while this might be generally true, you can never know for sure, if your exact matches are doing as expected or not. This is why it makes sense to check regularly in your conversion reports, if your exact matches are doing better or not. If they do convert better, you can set higher bids. However, don't forget to check again because even with higher bids, you might still be getting the same amount with clicks, but only you are paying more for them now. Constantly monitor the conversions and make the changes in the bid amounts as required. Exact matches might be a usual winner but there are also other keywords that might work well for you. Browse your Conversions reports to find these keywords and bid higher on them. Similarly to the case with exact matches, don't forget to check if the new higher bid amounts are bringing you more clicks or simply drain more money from your budget. Similarly, when you look at your Conversions reports, you will find keywords that have no or low conversions. If these keywords are attracting a high number of clicks, or if they are high-bid keywords, it is even worse because they are costing you a lot while bringing your nothing in return, so find these keywords right away. You might want to remove them asap but don't do it right now � analyze a bit first! Sometimes the reason why a good keyword/ad underperforms might be a really illogical one � for instance, if you are bidding too high, you might be attracting click-addicts, not people who are really interested in your product. In this case you should first try to decrease your bid, so that your ad gets far from the first position. When your ad is 3th or 4th, this drastically could decrease the number of clicks you are getting but can lead to a better conversions/profit ratio. You might have decent conversions but this doesn't mean you are making a good profit. For instance, if you make $5 per conversion and 1 in 10 clicks converts, you can't afford to spend more than $.50 per click because with 10 clicks at $.50 you are simply breaking even. Of course, breaking even is better than losing money but this is not the point. So, spot these keywords/ad groups that make you under or slightly above what you have invested in them and pay them more attention. You can try bidding lower, so that you spend less per click. You can also try an alternative title and/or a description and see if this leads to improvements or not. If nothing helps, just get rid of these keywords/ad groups and concentrate on the ones that do bring you money. One more thing you can do with Conversions reports in order to optimize your ROI is to check if Display/Search networks work for you. As you probably guess, there isn't a general rule here � for some campaigns, ads, and keywords both networks can work more or less well, while for other campaigns one of the networks might be just dead in terms of clicks, conversions, and profits. Just monitor your performance and adjust your efforts accordingly. As with any kind of investment, the more you spend doesn't mean the more you earn. We've mentioned it a couple of times throughout this chapter but since this is way too important, it deserves a separate section. First, as we already told you, the first (i.e. the most expensive position) for a keyword frequently has poor conversions. The reason is that the first position is most visible � by your potential clients but also by everybody else. This is why it attracts lots of clicks. Unfortunately, most of them are just random clicks that don't convert. Basically positions 2 and 3 work better. They aren't that visible and don't attract that many random clicks. Sometimes (for Search ads), positions 4 to 7 outperform the first three positions. It is up to you to discover what exactly is applicable in your case. Play with your bid amounts up and down and see which bid amounts (and positions) yield the best results and stick to them, at least for the time they perform that well. The amount you pay per click isn't the only factor that determines your position. As you will see in the next chapter, your Quality Score matters a lot not only for the position your ads appear in. One more reason to see dropping results is that you've reached the end of the market. You might ask how this is possible. 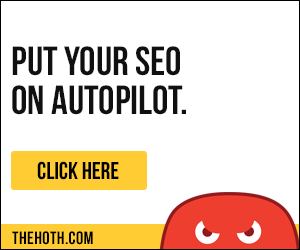 Pretty simple � your good keywords have only a finite number of clicks they can attract. This is especially true for long tail, niche keywords that have really a limited search volume. For instance, if 10,000 people a month are searching for your keywords and only 1% of them click ads, no matter how relevant the ad is, there are just 100 clicks a month for this keyword. So, in theory, even if you double your bids and manage to attract all clicks (leaving nothing to your competitors, which as you guess is unlikely to happen in practice), you can't go above 100 clicks simply because this is all that's available on the market. The strategies listed in this chapter are not all you need to do in order to optimize your ROI. For instance, testing is one more approach you can't do without. Because of its importance, testing is explained in more detail in a separate chapter later in this tutorial.